The success of the global Alliance is about how we work together as partners with common goals. We need all of you. Join Us! To this end, we encourage you to both join the online debate and fill up the questionnaire to become a full member of the Alliance. 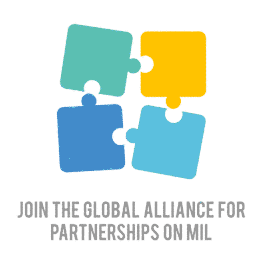 UNESCO calls for all organizations working in the field of media, journalism, communication and education to join the Global Alliance for Partnerships on Media and Information Literacy by completing the short form through this link, I pledge to be a part of GAPMIL.